It's Christmas Jumper Day today - all over the country people will be showing up to work in their best novelty knitwear and donating money to Children in Need. 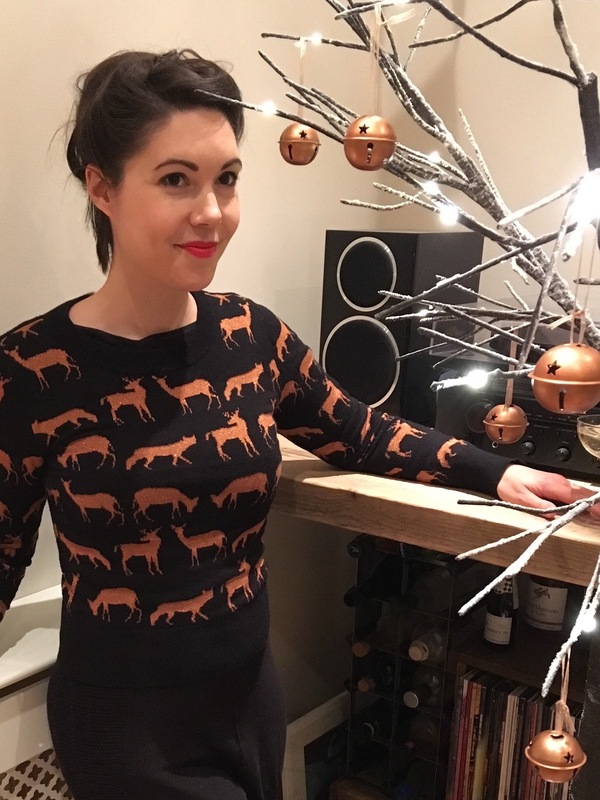 Other charities are also running Christmas Jumper campaigns, so it’s likely you’ll have a reason to don your festive finery for a good cause. While I'm all for a fun and inclusive thing that encourages people to give to charity, part of me is worried that a heap of unethically-produced jumpers will be headed for landfill in the new year. So I've written a little guide for everyone who wants some extra nice-list points: how to participate in Christmas Jumper Day as a conscious consumer. Buy from a charity shop: this way, you're making two donations to charity! You also avoid contributing to the overproduction of clothing, and the exploitation of the workers who will be working long hours for low pay to make these jumpers. If you're planning to give your jumper to a charity shop after you've worn it, please hang on to it until next Autumn/Winter if possible: charity shops won't be able to sell Christmas jumpers in January, but there will be a market for them as Christmas Jumper Day rolls around again in 2018. Pick a style you love: I know the idea is to wear the silliest jumper possible, but it just doesn't make sense to me to buy an item of clothing you'll only wear once in order to make a small donation to charity. 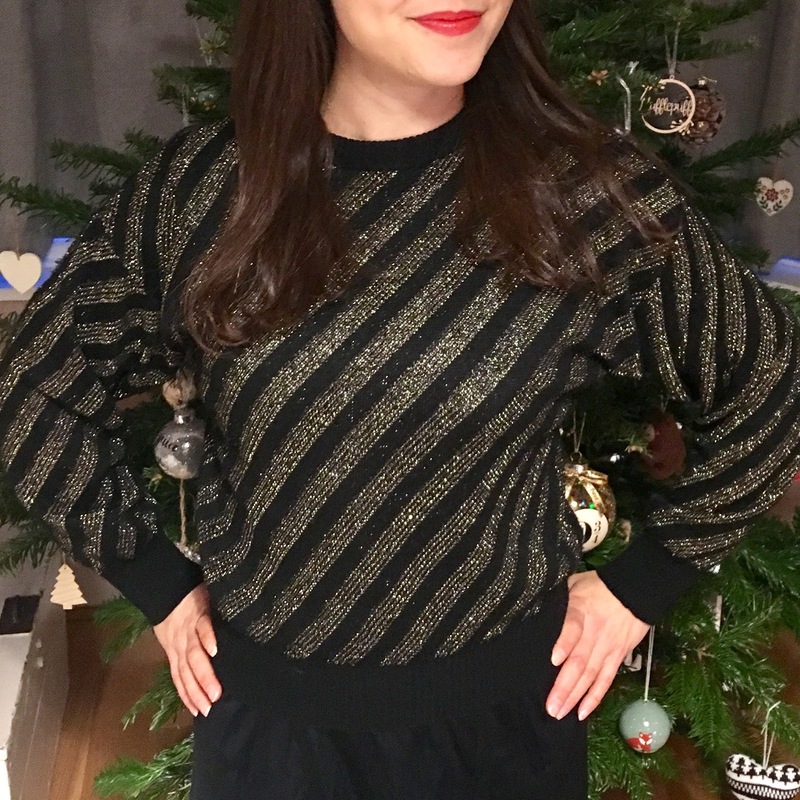 If you're a vintage fashion fan, look for a sparkly batwing sweater instead; it will keep you warm as toast and work for lots of festive occasions! 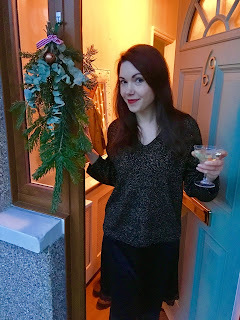 Customise: if you've opted for a subtle sweater but are worried about being derided as a Scrooge, you can add a bit of festive flair fairly easily. Make a necklace from leftover tree decorations, a bow from recycled ribbon, or a brooch from crafty odds and ends. A jumper is for life, not just for Christmas: I bought this jumper years ago, and it's been worn for several Christmas Jumper Days, as well as countless walks in the park and trips to cosy pubs. The sparkly pattern of deer and foxes is striking, but not too much for regular day wear. Break the Rules: yes, I know it's Christmas Jumper Day, but if you have some fabulous festive knitwear it deserves a chance to shine! An embellished cardigan or cape would be a great way to ring the changes and will save you having to buy new clothes that you might not get very much wear out of. As I've said before, being an ethical consumer doesn't have to mean going without, or refusing to participate in novelty clothing events like Christmas Jumper Day. It just involves a bit of thought and forward-planning. 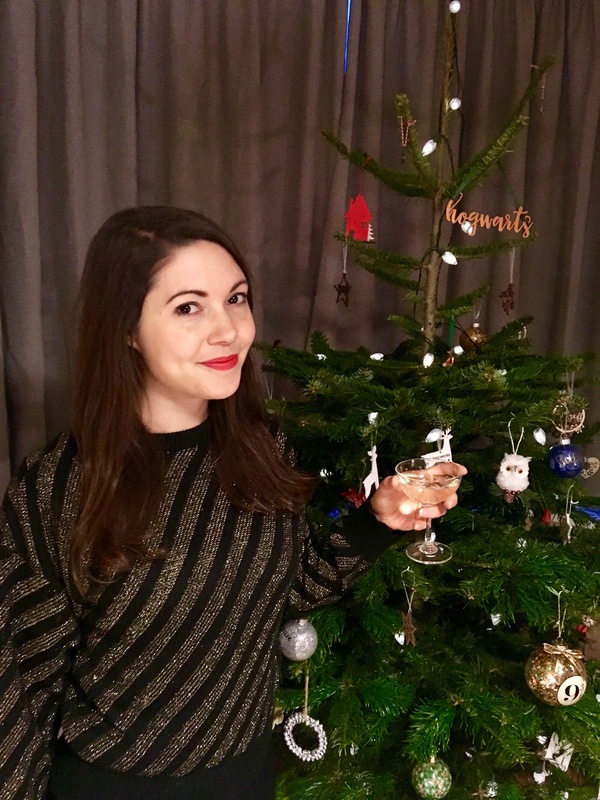 I hope you are all having a lovely festive season!